The Front Street department stores in Hamilton have a full range of fashion items from Europe. And there are many independent boutique shops with ready-to-wear collections. There are also plenty of shops selling beachwear and T-shirts and some designed by Bermudians. In general, you can shop 9am to 5pm, Monday through Saturday. On Wednesday evenings (from April through October) Harbor Night celebrations take place at Hamilton, when most of the shops and restaurants on Front Street and surrounding areas remain open till late evening. Also, stores operate on extended hours on Fridays during the Christmas shopping season. Shopping is best done in Hamilton city because you get a high density of little shops along Front Street, Church street, Reid street etc as well as large malls with atrium-style collection of shops. St. George's, which is at the east end, has artisan studios and boutique shops mainly in Hunters Wharf, Penno's Wharf, Somers Wharf, Duke of York Street and Water Street. At the West End, Clocktower Mall at Royal Naval Dockyard is great for shopping. This is an iconic island store which opened in 1918. It has departments for men, women and children. It's located at Front street (Hamilton) as well as has branches at several places in the island. There are varieties of items available. It has traditional & colorful Bermuda shorts, blazers, suits, bright socks, ties, belts, rugby jerseys etc along with a vast array of knitwear in cotton, wool and cashmere for both men and women. They also have their own collections known as Island Casuals. All stores open Monday to Saturday 9:30am to 5pm. TABS stands for 'The Authentic Bermuda Shorts'. As themed on its title, Bermuda shorts are its main items of focus. This is an island brand and all items are designed by the islanders. Run by Rebecca Singleton, she initially started in 2013 and stocked the products in several retail outlets of other branded stores in the island. In August 2016, she inaugurated her own flagship store in Hamilton. The shorts are made of high quality cotton instead of traditional linen to make them comfortable for walks. Designs have unique linings, playful stripes with Hawaiian style. Shorts are available in various colors. The Hamilton store offers their full range of products including shorts, T-shirts etc. They have also collaborated with other local brands and offer items like jewelry, hats, candles, island made jams etc. Walker Arcade, 12 Reid Street, Hamilton. This is a large boutique store offering island inspired fashion wear and accessories for women. They source the items from places like London, New York, Milan, Paris etc. They also boast of stocking the largest selection of swim wears in the island. Apart from clothing, they also have sections for ladies shoes, ceramic items etc. The store is located on Front Street, Hamilton. This is a new boutique store opened in October 2011 by a Bermudian lady entrepreneur Jenia Thompson. This is not strictly a clothing store. It sells fashion designs including clothing, jewelry, makeup and bags for women. The objective of this store is to offer women what they would love to possess. The store stocks many brands including LAMB by Gwen Stefani, House of Harlow by Nicole Richie, Black Halo, CC Skye etc. While there are many celebrities who patronize these brands, the boutique also offers ranges that suits others as well. Location: Windsor Place at the old Pulp and Circumstance location. 18 Queen Street, Hamilton. Open Hours: Monday through Saturday from 10am to 6pm. Phone: 441/295-1239. Bermuda's oldest iconic department store Trimingham’s closed down permanently in July 2005. From a very humble beginning, the store had grown into a giant with a comprehensive range of designer goods such as perfume and clothing. Trimingham’s used to be a very popular shop particularly with the cruise ship visitors docking at Hamilton. However sadly, they could not sustain the business. 1) If you are looking specifically for T-shirts, then check out Bermuda T-shirts to know about the best stores to buy them from. 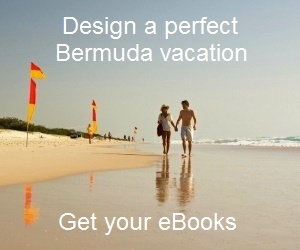 2) Check out Bermuda Shopping to know all about shopping in Bermuda and the best stores.